I figured today I'd give you guys a little peek into what I've been loving lately. I've only ever done one of these which I think is pretty silly because I love watching YouTube videos of what people are loving lately, so I may make this a recurring thing. So let's get into it! 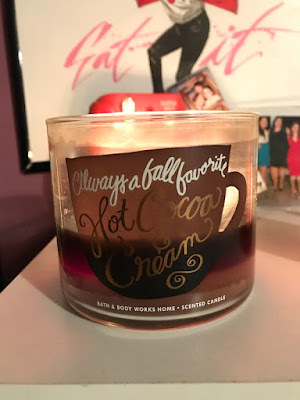 First up is the Hot Cocoa and Cream candle from Bath and Body Works. Ho-lee cow, does this smell exactly like a cup of hot chocolate. I've gone through about 2 so far and even have a few more squirreled away so that way I won't run out of it. I'm not a coffee drinker, so anytime I go to Starbucks I usually get tea or a hot chocolate, and my favorite is the Snickerdoodle hot chocolate they have around Christmas time and I always get bummed when they take it away-- but not anymore! 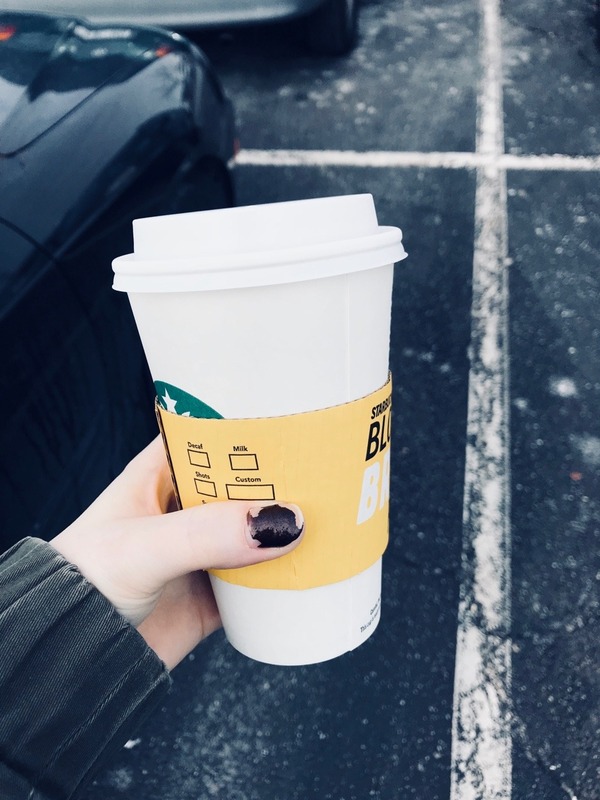 A friend of mine works there and recently told me that it was just a white hot chocolate with some cinnamon dolce syrup, so now I can have it all year round! Now, I'm a huge spazz when it comes to make up. It seems like some people are just naturally blessed with the knowledge of contour and highlight and blending eyeshadow, but I am not one of them. My usual make up routine is: throw on some foundation and concealer to not look so dead and head out the door. I always have a problem picking out foundation because I'm really (and I mean reeeeeeally) pale, so even the lightest shades are always a bit too dark for me. I'd heard really good things about the Fenty beauty line that Rihanna came out with, so I figured I'd see how I fared with that one and I actually found my shade. I got color matched at Sephora and it turns out I'm between the 100 and 110 shades, I went with the 110 and I'm diggin' it so far. It's a matte foundation so it does get slightly patchy in my dry spots, but nothing too noticeable. 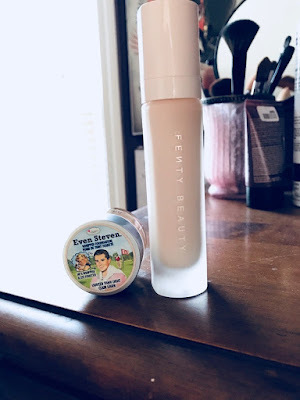 The other littler one is a whipped foundation by The Balm called Even Steven in the shade Lighter that Light, and that one is also a near perfect match for my skin tone and it also feels super light. So ya girl's face is pretty happy lately. I got this Q & A a day book for Christmas and I've actually kept up with it and it's something so small and silly but I look forward to filling it out everyday. 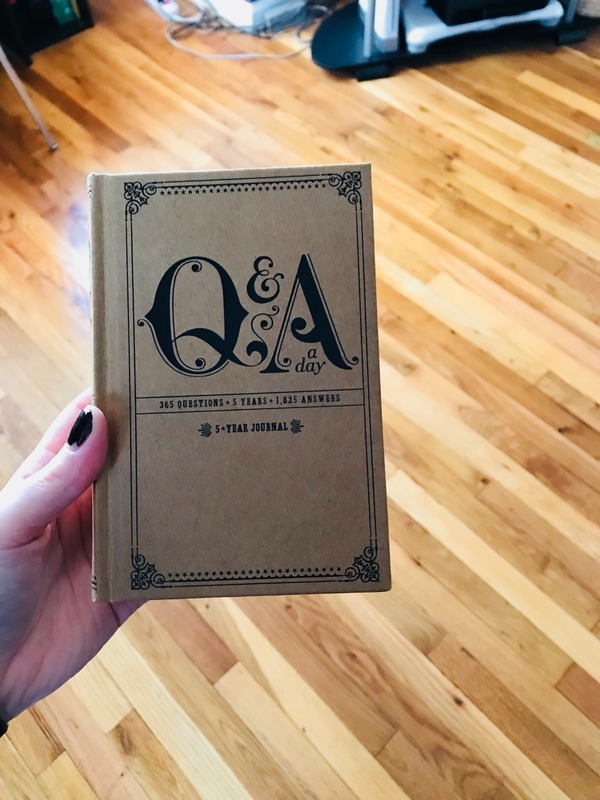 It's all sorts of questions ranging from What's your mission? to What'd you eat today? so it's a good mix of serious and fun. I also really like how it's a 5 year journal so you can see how your answers vary over the years. RuPaul's Drag Race All Stars 3. I love Drag Race (imagine the little clapping emoji in between each word for extra emphasis) and I get super into all the queens and I'm so pumped to see how this season turns out. There's only been two episodes so far, but already I've been clutching my pearls at everything. I love it. My last favorite is super random but it's going to the library. I've loved the library ever since I was young, but then I started to just buy all my books and I've pretty much run out of space and money, so now me and the library are BFFs again. We have a lovely relationship where I go there weekly and they help feed my addiction. It's great. What're you loving lately? Lemme know!